Happy Easter Window Sticker. Attract customers into your store with this cute wall sticker. 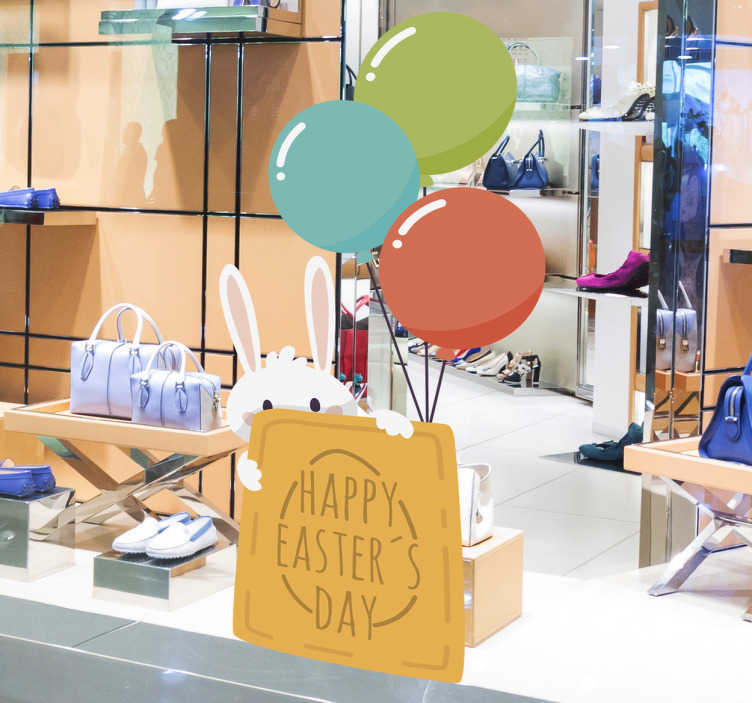 This sticker consists of a bunny rabbit hiding behind a sign which says "Happy Easter's Day" with balloons tied to the sign. This removable sticker is available in a wide variety of sizes for you to choose from. We use a special adhesive film that makes no mess and is easy to apply to any flat surface. If you wish to apply this sticker on the inside of the window please select the mirrored option.